WASHINGTON, DC – June 2, 2010. 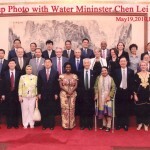 Dr. Eugene Stakhiv attended a biannual meeting of the Global Water Partnership (GWP) in Beijing, China on May 18-21, 2010. The meeting was held in China to celebrate China’s 10th anniversary as GWP’s regional partner. Dr. Stakhiv is an elected member of the GWP Steering Committee, serving a three-year term that ends in 2011. He serves in his capacity as Technical Director of UNESCO-ICIWaRM. The GWP Steering Committee met with Mr. Chen Lei, China’s Minister of Water Resources. 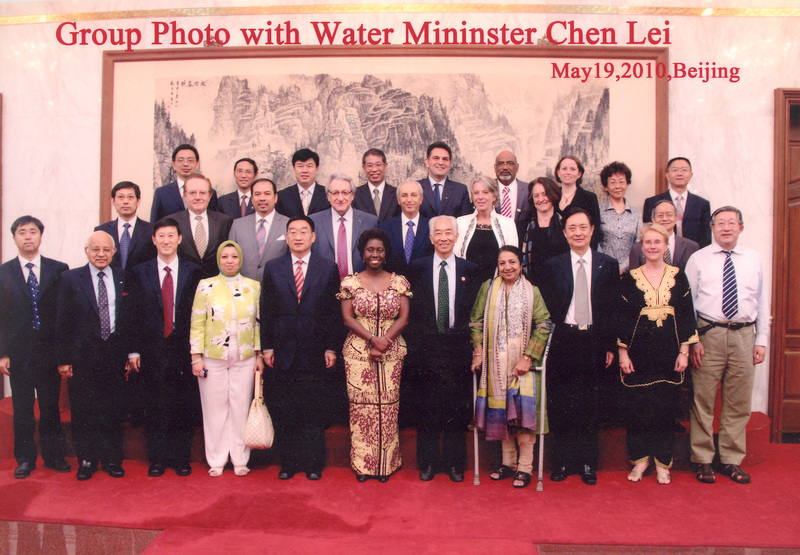 GWP China has been successful in instituting water management reforms in China under the leadership of Chair Wang Shucheng, who is the former Minister of Water Resources and also a member of the United Nations Secretary General’s Water and Sanitation Advisory Board (UNSGAB). GWP China’s mission is to assist in the implementation of China’s Water Law; facilitate exchange and cooperation between sectors, organizations and societies involved in water resources management; promote broad public participation and dialogues; enhance international exchange and collaboration; and raise awareness on integrated water resources management in China. GWP China provides a neutral platform for sectors and disciplines for dialogues and cooperation in an effort to promote the sustainable development of water resources, ensure the sustainable economic growth and provide service to the society as a whole. The Global Water Partnership, is an international network that offers practical advice for sustainably managing water resources. It promotes and supports activities that operate at the national and regional levels of development. In addition to development agencies and country members, the GWP includes nongovernmental organizations (NGOs) and research organizations. The network is open to all organizations involved in water resources management: developed and developing country government institutions, agencies of the United Nations, bi- and multi-lateral development banks, professional associations, research institutions, non-governmental organizations, and the private sector. The GWP network works in 13 regions: Southern Africa, Eastern Africa, Central Africa, West Africa, the Mediterranean, Central and Eastern Europe, Caribbean, Central America, South America, Central Asia and the Caucasus, South Asia, Southeast Asia, and China. The GWP Secretariat is located in Stockholm, Sweden. The network is supported financially by Canada, Denmark, the European Commission, Finland, France, Germany, the Netherlands, Norway, Sweden, Spain, Switzerland, the United Kingdom and the United States.